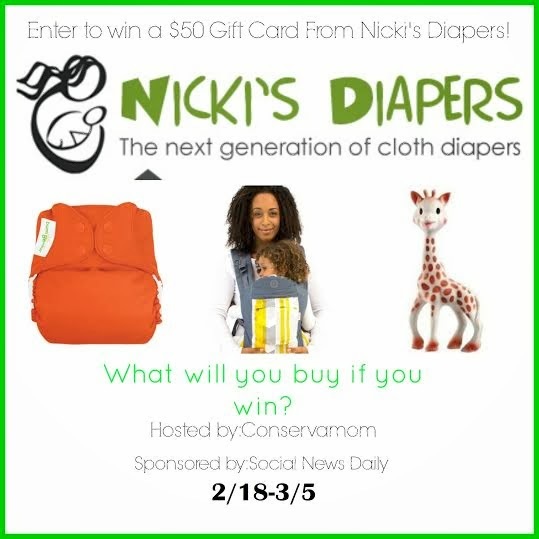 Welcome to the $50 Nicki's Diaper Gift Card Giveaway Event. This event is one of a kind, You can either opt for a $50 Nicki's Gift Card and get your little one some great items or if you live outside of the US get $50 in Paypal Cash! 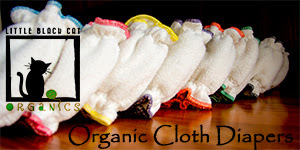 1 Winner will get their choice of Nicki's Diaper Gift card or if outside the US $50 Paypal Cash. Giveaway ends on 3/5 at 11:59pm! I would get more Thirsties OS, and I'd try a couple of the exclusive CJ's scents! I would get more aplix Simplex AIO's! I love the ones I just got and hope Nicki's starts carrying them soon! I'd get some more NB pockets, most likely bumGenius. I would try Kissaluvs cotton hemp fitteds. I would get more Imagine Baby AIOs. I bought two during cyber Monday, and they are my new favorite diaper! I am in need of more more Best Bottom diapers and inserts, so I would definitely be buying the Camo and Chunky Monkey! I am confused- it says $50 paypal cash prize if outside the US but then it says only open to US! Am I allowed to enter? I would try some all in ones or fitteds!! Trainers and a new swim diaper. I'd love to try my first Moraki! With baby #2 on the way, I would get more flats and pockets! I would buy an aio newborn diaper. Maybe a simplex. An Ergo, or fitteds, or more covers.... the possibilities are endless! I'd get a few more newborn-sized AIOs or Pockets! What a hard desicion! Probably a swim diaper or another grovia! I'm pregnant with baby #3 and the first one I've convinced hubs to try CD. I am just starting to build my stash so this $50 would be a great way to try out some new types of diapers I haven't bought yet. 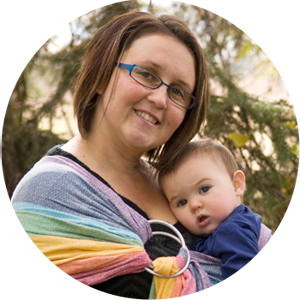 I would use my $50 Nicki's Diapers gift certificate to buy a Sustainablebabyish/Sloomb wool interlock cover for my little guy I am expecting this spring. I would use the remaining amount to buy a swim diaper for him too! So many choices, but I'd probably try out some different pockets. more BG 4.0's or hemp inserts! I love the cloth diaper selection, but I think I would actually get a soft structured baby carrier for my husband to use. I would get a diaper pail and washable liners. I would get as many cute diapers as posibel.for.my baby girl. Do.they make Doctor Who ones? I would probably get some Nickies OS AIOs as I have been wanting to try them! I would buy a BG 4.0 and 3 flips!! In hummingbird and countess for my little man. I'd die if I won this!!!!! Id invest in more Kissaluvs! It would help me buy some much needed diapers-- free times and flips! I would buy some aplecheeks swim diapers! Summer is coming, summer is coming! I would get some new pocket diapers for my growing girl! I would definitely get my first pocket diaper! Dying to start my stash. I would get some Rumparooz pockets and Imagine pockets. We love our pockets here! I would buy some BumGenius and Blueberry's! 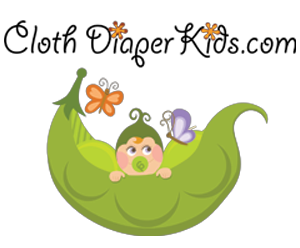 Well thinking that I'll be new at cloth diapering, i think I would love to win the 50$ gift card for buying the Econobum by bumGenius! - Full Kit (3 Covers, 12 Prefolds & 1 Wet Bag)!! !